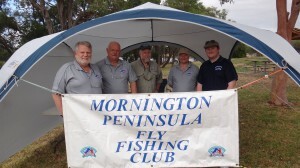 Incorporating the Jim Thomas Memorial Trophy, this event is being run by the Ballarat Flyfishers Club. It’s a catch-and-release competition too, which is great to see. The Lake Wendouree Two Fly celebrates the historical significance of Lake Wendouree and its trout fishery to the Ballarat Flyfishers, the City of Ballarat and the lake’s contribution to Victoria’s flyfishing history and traditions. The competition will be held over 2 days (29th /30th March), and it incorporate a gala dinner and raffle, with auction proceeds to support those BFFC members competing in international events. Anthony McGrath came third in last year’s comp. with this great fish. The cost of entering the event will be $50 per flyfisher. This includes entry to the event, a 2 course dinner at the Saturday night Gala event and breakfast on Sunday morning. The number of flyfishers able to enter the event will be limited to 80 to ensure the quality of the fishing and to provide access to adequate fishing areas on the lake. As well as the Jim Thomas Memorial Trophy, the winner gets a Stalker Glide 6 weight fly rod valued at $500. Despite the recent hot dry weather, I had a look at Lake Wendouree yesterday and it’s in great condition full and clear. 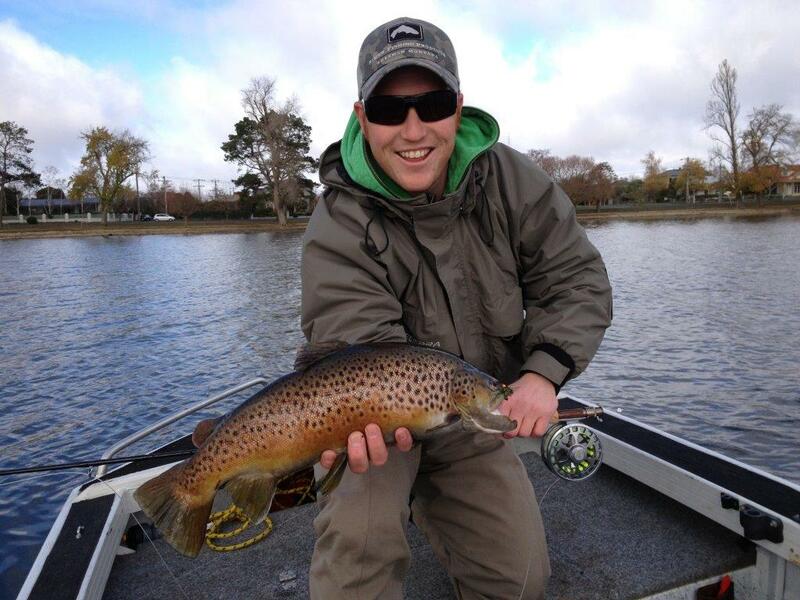 By the end of March, flyfishing conditions should be excellent. Wendouree is in great shape and should fish well in late March. 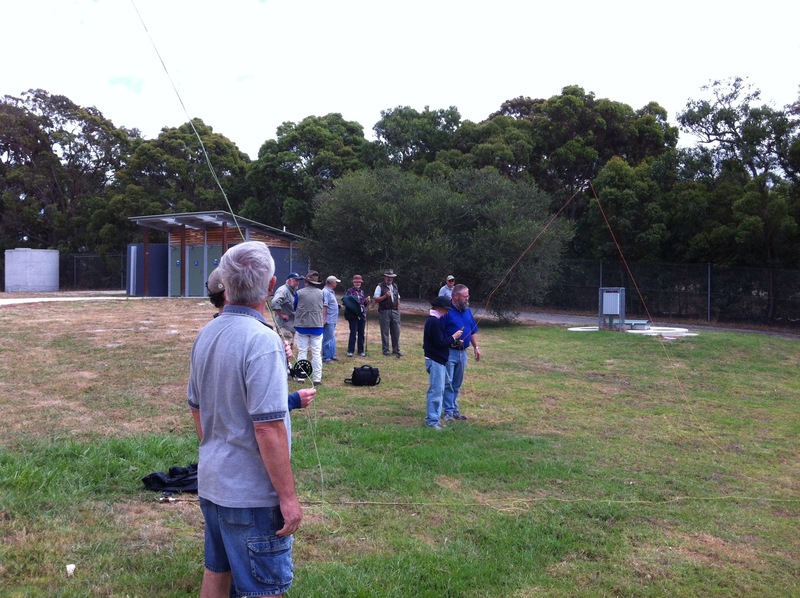 To register for the Two Fly contact Chris Doody on 0428 304 004 or email chrisdoody@bigpond.com. Remember, there’s a limit of 80 competitors so be quick. An enthusiastic team of nine members assembled on the “Spirit of Tasmania” for the annual club trip to the Central Highlands Lakes in Tasmania. Spirits were as usual high in anticipation of the week ahead and after a smooth crossing the team rendezvoused in Deloraine for the purchase of fresh supplies. Weather was warm, sunny and windy and this was unfortunately indicative of the conditions for the entire week – great if you were touring but certainly not ideal for fishing! 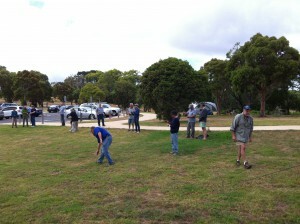 After arrival at Tiger Hut and settling into the familiar surroundings teams went off to try their luck. The first fish of the trip was caught by Alf at Lake Botsworth and others had success in the hard wading Lake Kay. An intrepid team of Andrew, George and Sandy had resolved before the trip to walk into Lake Fergus, overnight camp and fish, and return the next day. The weather conditions seemed best on the Sunday/Monday as overnight temperatures were to remain warm and ideal for camping out. Unfortunately this meant the daytime temperatures were warm and hence the walk in and out proved somewhat hot and tiring. Nevertheless within minutes of arriving George caught the first fish and anticipation was high for a great catch. This did not turn out to be the case but all three participants in the “Broke-back” experience rated Lake Fergus a great prospect. The remainder of the week saw a variety of lakes fished – wading, off the bank, float tubing and boating – with varying success. Overall, the week on the lakes resulted in a total of 26 fish (most caught at Lake Kay) and only three members of the team fishless. Next year’s trip has been booked – this time a month later – trying for some cooler weather and possibly better fishing. Refer to the Gallery page for photos from the trip. Well Christmas has been and gone. I hope Santa was kind to you and filled your fishing bag with all the goodies that make a fly fisher happy. 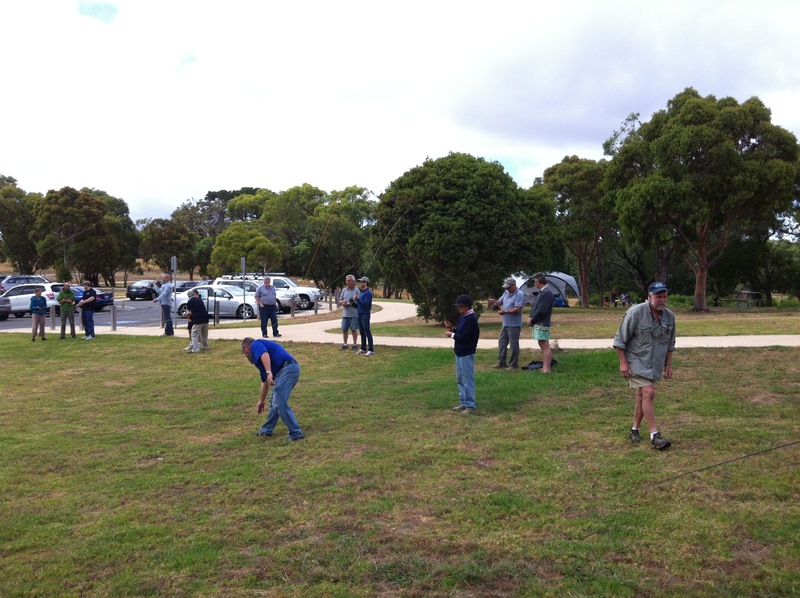 Just back form a week in Tassie where a group of members had a great time even if the weather put a dampener on the fishing. High temperatures and winds had tempers rising not fish! Water temperatures on average 20 – 22 degrees does not make for good fishing. Roll on a change in the weather and some rain. Hope to see you on the water somewhere some………..